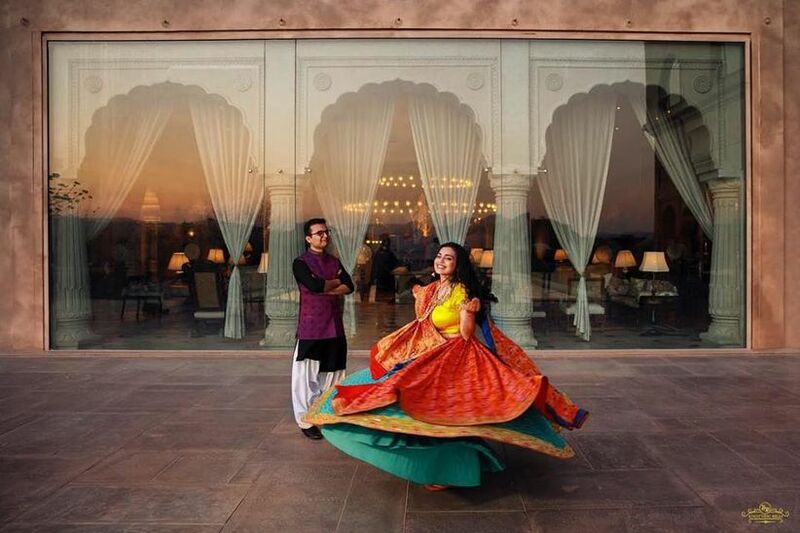 7 Websites to Shop Your Wedding Lehenga Online and Ditch the Hassle & Hustle | Wedding Tips ARE YOU A VENDOR? If you’re also looking for a fix for finding the perfect wedding lehenga, why not explore the market that is the internet? 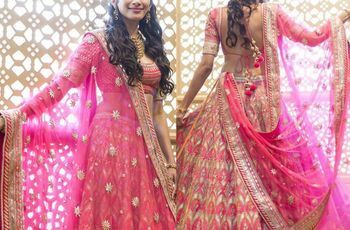 With so many options available, we’ve listed a few reliable sources from where you can shop for your wedding lehenga online. 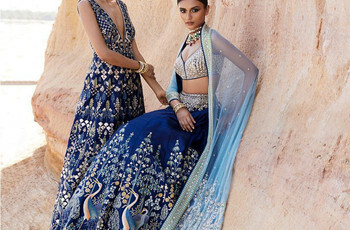 Shopping for a wedding lehenga can become quite a task when you don’t know where to go to. Given the number of wedding clothing options available in the cities, you'd practically be prancing around the markets with hardly any luck. That is why e-commerce websites selling traditional Indian clothes are booming. They're a one-stop destination for all kinds of wedding clothes you're looking for. And the best part? You can take your pick from multiple websites while sitting in your PJs having a tub of ice cream! We've listed a few websites that you can explore if you're also looking for your wedding lehenga online. You've visited their stores physically and you've witnessed the chaos there during wedding season weekends. 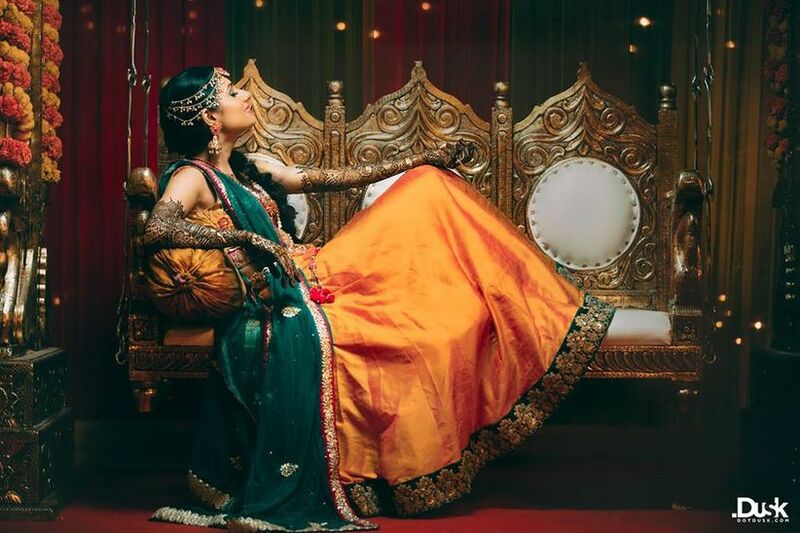 So why not visit them virtually and browse through the wedding lehenga of your dreams? With the reputation as theirs, it is pretty safe to assume that their customers are pretty happy with their services. You can find all kinds of lehengas here and also have them customised. All domestic orders take about 2-7 days to reach you after they've been dispatched. The best part? They have lehengas catering to every range, with an average price of ₹30,000. Shopping tip: Make sure that you read the product description carefully, which includes the kind of cloth used and the embroidery done. If you're looking for more options and top-notch designers, then visit carmaonlineshop.com. They have a proper size chart in place to help you with your measurements and you also have the option of calling their personal stylist, if need be. They have all kinds of wedding clothes in stock, and each product takes 4-5 weeks to be shipped. 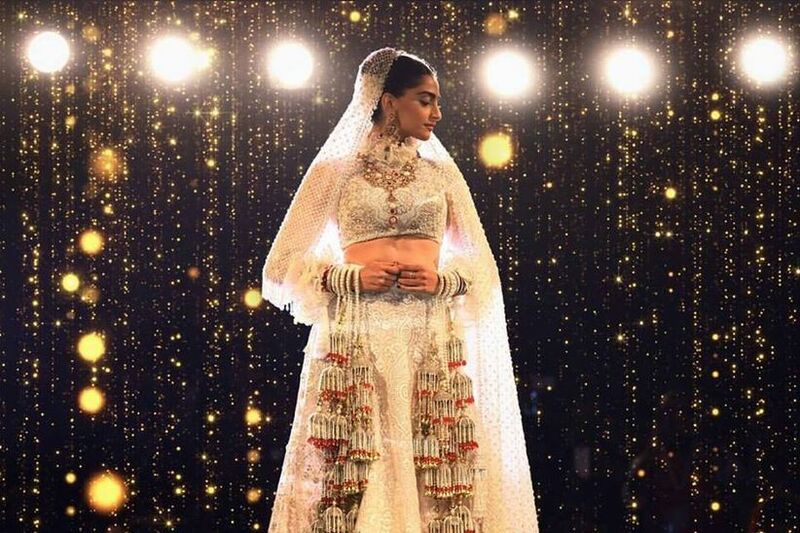 With an average price range of ₹50,000 - ₹70,000, the website features the works of designers like Sabyasachi, AM:PM, Anju Modi, Anita Dongre, Masaba, Gauri & Nainika, Gaurav Gupta and Manish Malhotra, among others. You probably might have heard about this online marketplace. It is the place to go for all your wedding shopping needs, especially when you're looking for a wedding lehenga online. Here, you can not only shop for wedding lehengas, but also for Cocktail and Mehndi outfits. The customisation is available, so you don't have to worry about the fittings. You also have your own personal 'size finder' on the website. The order takes 2-3 weeks to be shipped and is averagely priced at ₹60,000. 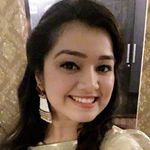 The best part about this online marketplace is the pool of designers ranging from both popular to premium, like Ashna Behl and Masaba to Anita Dongre and Kotwara, who bring their own set of designs to the website. Shopping tip: Don't miss out on the sale season! No, this is not the only place for men's clothing! This is the website you should check out if you're looking for a wedding lehenga online without it being too heavy on the pocket. 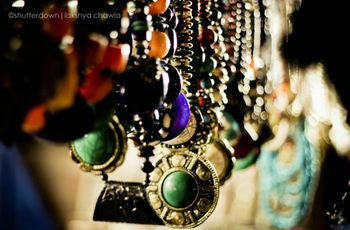 With an average price ranging between ₹15,000 - ₹25,000, Manyavar.com has a host of designs you can take your pick from. They have an average rating of four stars, so you don't have to worry about their customer services as well. The lehenga would take around 2 weeks to reach you. The best part is that you can either order a tailor-made lehenga, order a free size lehenga and get it altered by your tailor or order the cloth and have it stitched by your masterji. You can get your hands on the lehenga within 15-20 days. 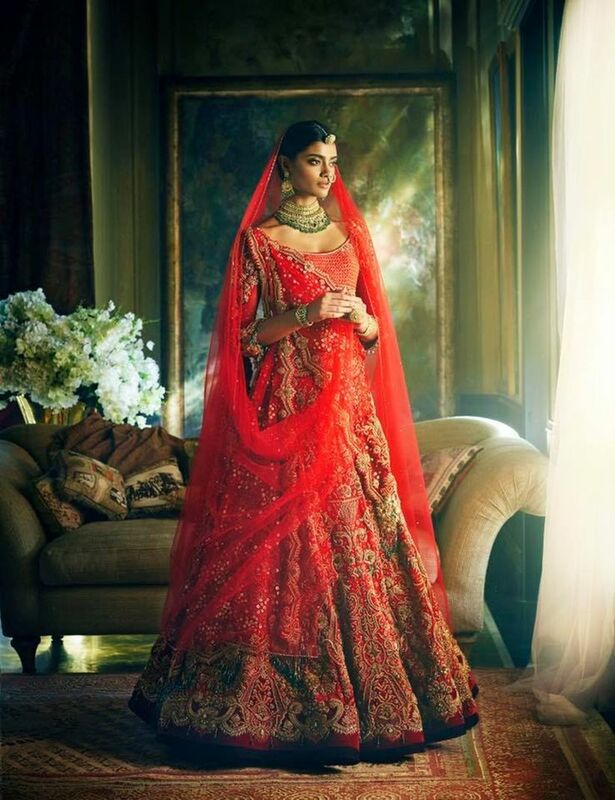 Another website you could check out for the perfect wedding lehenga online is azafashions.com. They have an array of designers like Manish Malhotra, Rohit Bal, Gaurav Gupta and Namrata Joshipura, among others. 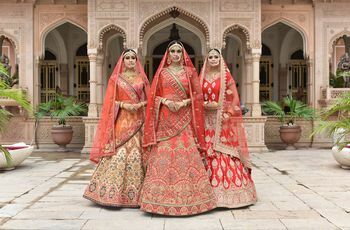 The best part about this online marketplace is that you can choose your price range, size and colours and then browse wedding lehengas accordingly. They also have different offers and discounts, so you don't want to miss on that! The price range varies from ₹18,500 - ₹5,50,000, so basically they have something in store for every range. You can get your lehenga within 2-3 weeks of placing your order. Shopping tip: Do check out their 'Bride' section as they have specialists who'd help you with styling. Ogaan is the website you should land on if you're looking for more contemporary designs. If you're the bride that doesn't want to go OTT with your wedding look and like mellow designs, then you'll absolutely love the designs on this website. Showcasing the work of contemporary designers like Anju & Harleen, Nakul Sen, Rahul Mishra, Suhani Pittie as well as premium designers like Ritu Kumar and Rohit Bal, they have a 12-hour assistance service. The price range varies from ₹15,000 - ₹3,50,000 and they also have express delivery options. This website is a luxury online shopping portal with multiple designers showcasing their lehengas, Anarkalis, Kurtis and sarees. 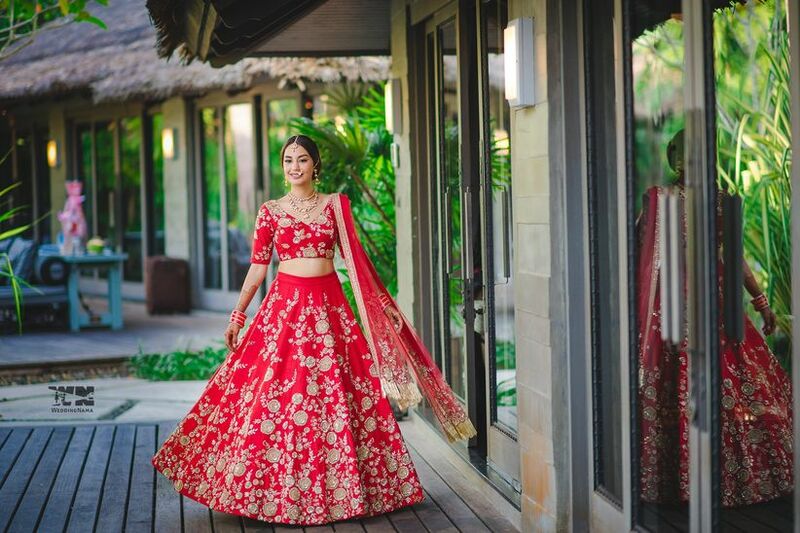 The best part about shopping for your wedding lehenga online from here is that they have the latest Fashion Weeks' collections of designers like Eka, Anushree Reddy, Mishru, and SVA/ Sonam and Paras Modi. They have a size chart so that it gets easier for you to select your outfit, however, they don't have customisation options available. The average price is ₹30,000 and the time that your lehenga would take to reach you will be 2-3 weeks. So ditch those long tedious walks in the markets and put on those PJs and chill on your couch while you select your wedding lehenga online. Sounds like a plan? 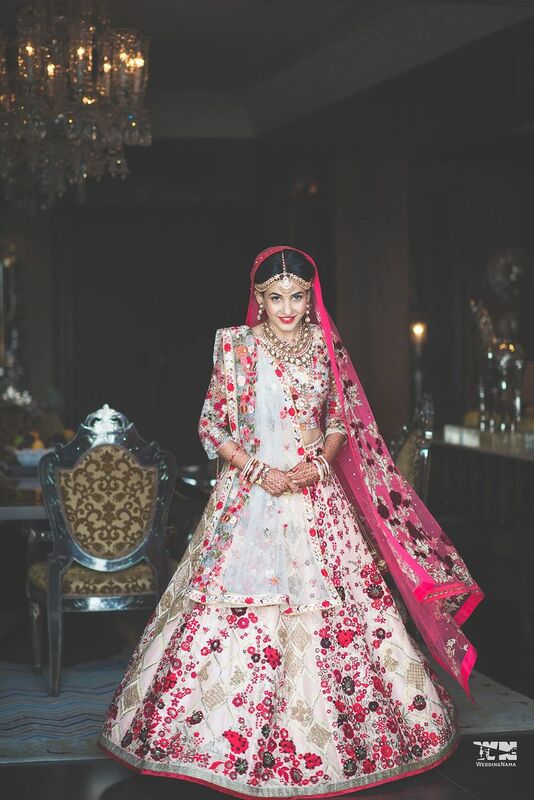 If you'd still rather visit the stores than look for a wedding lehenga online, then browse our wedding lehenga section.